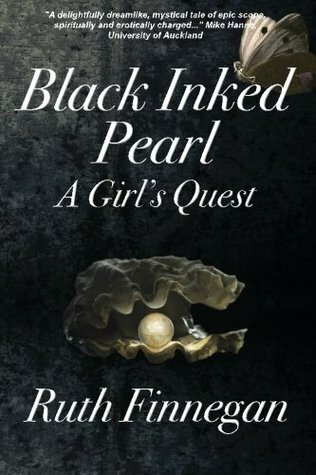 Black Ink Pearl the screen play was adapted from your award winning novel Black Inked Pearl: A Girl’s Quest. What were some challenges you encountered while adapting your novel? Well, first I had to learn something about screenplay writing, so so different from a novel. Hadn’t a clue!! But was passionate about doing it so signed up at more than I could afford (worth it) for a course with Voyage Media. It was brilliant. Though this one wasn’t the script I got mentored on then (by marvelous and incredibly patient – I really was clueless to start – Kathleen McLaughlin) they must have taught me the craft well as have just – wait for it – heard that my ‘Black Ink Pearl’ script (subtly changed title from the book, nothing clever or deep, just to differentiate it) the Genre Winner for scifi/fantasy in the internationally acclaimed (whew!) Capital Fund Screen Play Contest 2017. Doesn’t mean it gets produced, but its certainly a step closer. It will now – this is the process for the winners – get put in front of producers (who normally, don’t I know it, ignore any sent-in scripts) in the leading companies worldwide, including China. Still looking for other producers to consider it, so let me know if you know of any. It’s a great read, honest, fantastic in both senses, great actin and characters. Anyway hold your thumbs. Am just finishing a second, this time based on a Walter Scott novel. If adapting a novel the trick, I now know, and it’s a good one, enjoyable, is to leave out two thirds of the scenes of the original and rewrite, perhaps utterly change, most of the rest but at the same time still be inspired by that original story that first caught and moved you. Also always always always – so hard for a novelist – to show, never to tell; show through actions words, and not adverbs or attributed (by you ) inner emotions (if it’s written properly the emotion comes through in the dialogue and the acting, leave it to them). Have had such fun learning all this and seeing the characters of the novels I love through new eyes. Also to use that funny layout (‘Final draft’ it’s called) that is apparently the ‘industry standard’. And not too many pages – 100 seems to be about right for a full-length feature film. Have been encouraged since then to read somewhere that if you’re successful in one genre people may tell you to stick to that, but actually you’re likely to be successful in another, so – but only if you really WANT to – don’t’t be afraid to try it. Film rights are held by Garn Press. Where are you in the process of turning this screenplay into a movie? If we do get an option, we’d divide the proceeds between us in our agreed proportion, while the (lesser) amount for the screenplay, in which I hold the copyright, would come to me. The good thing about an option for, say, 3-6 months, is that even if they decide ot to proceed with the movie we get to keep that money and once the option time expires can try elsewhere.. The big hope to find a producer with funding and enthusiasm to actually make the movie (or just possibly, a television series, but would be best for the big screen). 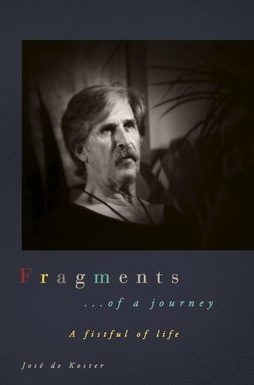 Both I and the publishers (Director is wonderful Denny Taylor, by now a real friend) would both love to see our mystic fantastic story disseminatedto wider audiences, I think it would really really work as a movie and that is inspirational sybolism – not pushed at them – would get through: but we’d ONLY want it if as a high-concept movie, we’re not in it just for some trashy commercial fix however lucrative. Let’s say you’ve got the movie deal and you have to pick some actors for your film.Which actress/actors do you think would be perfect fits for your characters? Daphne Alexander (now gathering a great reputation in London and Broadway) as Deirdre, Kate’s mother (or as Kate if Emilia couldn’t), sh’ed be brilliant, and warms to the novel, I know she’d be prepared to be involved. Idris Elba as the hero Christy – he’s such an intelligent as well as talented actor/person, and shares my feeling for Africa. Judi Dench (I was at school with her, so know her and her commitments, she just might be persuaded) as the Queen of Heaven. Do you have any other plans for your novel Black Inked Pearl: A Girl’s Quest? Absolutely: an audio book is on the way with a brilliant illustrator, also a colouring book around the novel’s key themes. It’s already had a spin-off in its prize-winning fairytale prequel, ‘Pearl of the seas’ (that will soon be an audio book too, with musical background), and there will now be a whole series, taking children, gradually, through aspects of the story from age nought upwards in a series of (probably) five children’s books, text by me, fabulous illustrations again by amazing silk artist Rachel Backshall. All these just arrived, no deliberate planning by me. Enjoy it. Bye for now everyone, get back with any comments or questions. On a secret back way to heaven guided by a little beetle, Kate repeatedly saves her still scornful love, but at the very last, despite Kate’s fatal inability with numbers and through an ultimate sacrifice, he saves her from the precipice and they reach heaven. Kate finally realises that although her quest for her love was not vain, in the end she had to find herself – the unexpected pearl. Posted on July 29, 2017, in Interviews and tagged action, adventure, amazon, amazon books, amazon ebook, author, author interview, black inked pearl, book, book review, books, broadway, christian, Daphne Alexander, ebook, ebooks, Emilia Clarke, fairytale, fantasy, fantasy book review, fiction, fighting, game of thrones, garnpress, goodreads, hero, Idris Elba, interview, Judi Dench, kindle, kindle ebook, king, literature, love, magic, Movie, mystery, novel, publishing, queen, Rawiri Paratene, reading, review, reviews, romance, screenplay, stories, thriller, Voyage Media, war, women, writing, YA, young adult. Bookmark the permalink. Leave a comment.